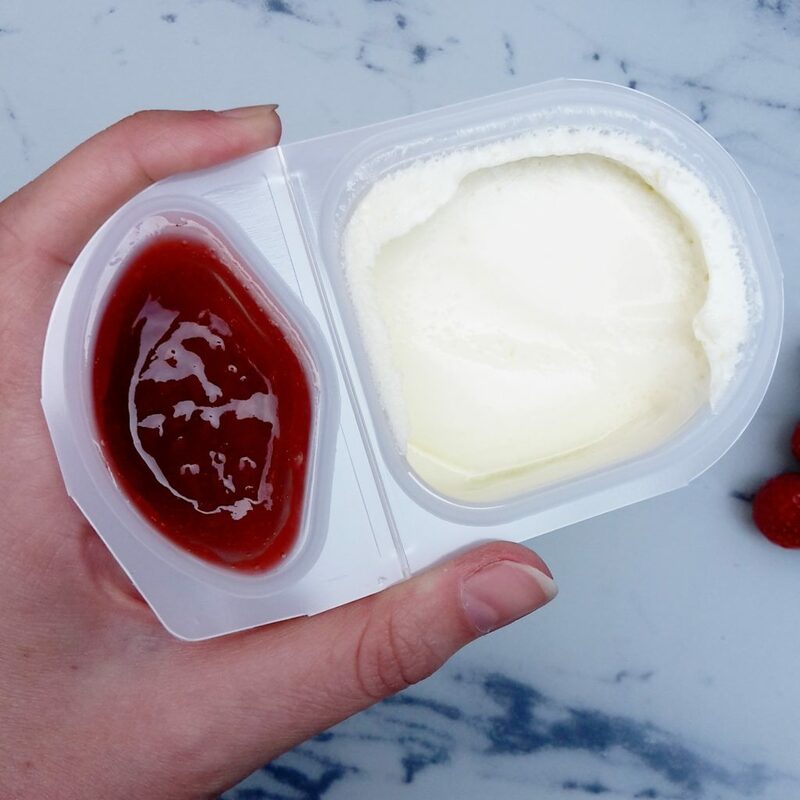 When asked if I’d like to receive a gift basket of spa goodies and some delicious new yoghurt to try, the words which went through my head were something along the lines of “hell yes”. Pampering and me time is always way down the bottom of my list of priorities so any excuse to to treat myself is perfect and I’m a bit of a sucker for pretty much anything sweet. Well, any food really. 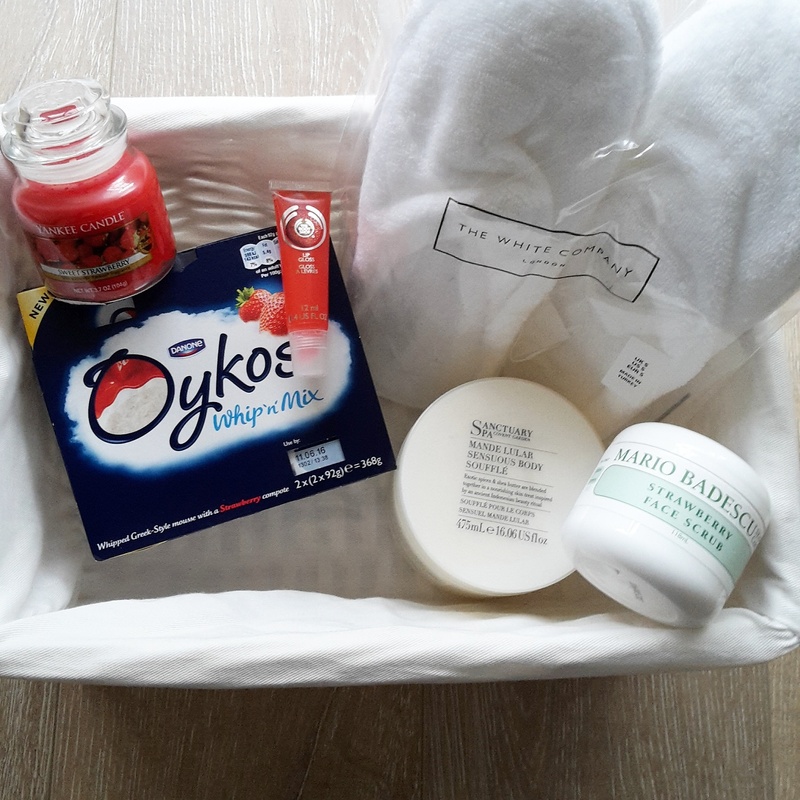 When my goodies basket arrived it really was full of treats – some comfy slippers from The White Company, a strabwerry candle from Yankee Candle, a strawberry lipgloss from The Body Shop (sensing a theme here?) and a face scrub and body cream, not to mention some enticing yoghurts to enjoy during my pampering session, what more could a girl need? 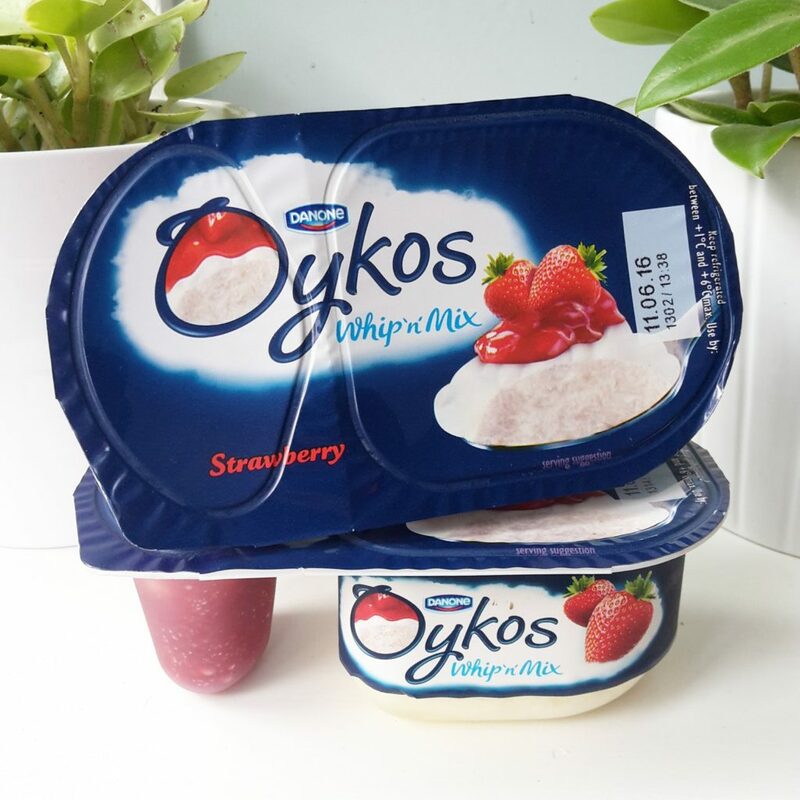 Oykos launched in 2013 and forms part of the Danone group (Mmm, Danone keeps running through my head). 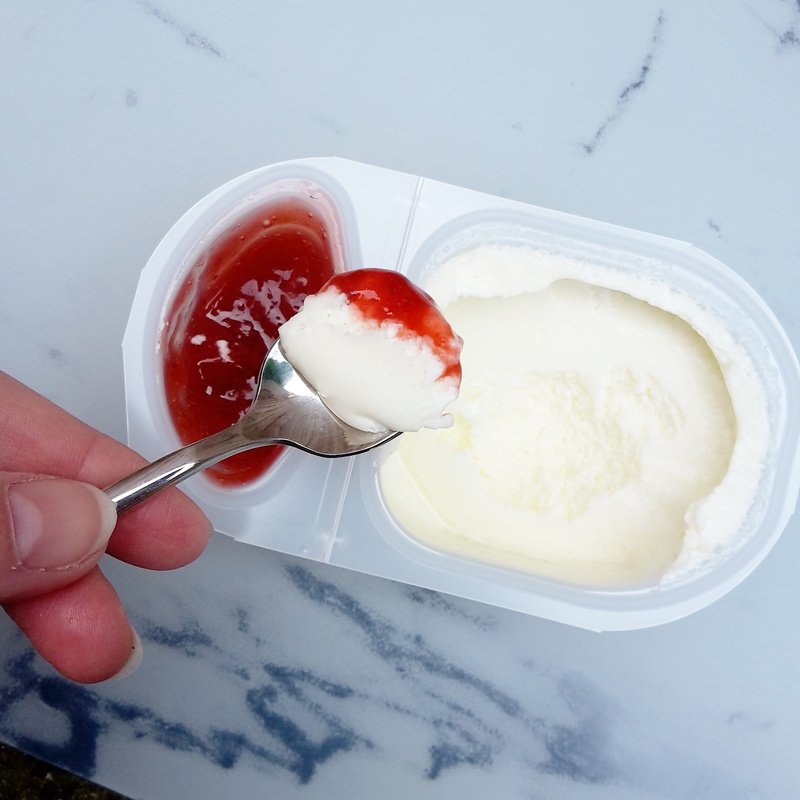 Combining the smooth and thick texture of Greek-style yoghurt with delicious fruit combinations, they have recently launched the latest part of the collection, “Whip ‘n’ Mix” which also boasts Peter Andre as its brand ambassador (shame he didn’t turn up in my basket but oh well, can’t have everything). I’ve also learned that Oykos has Devilishly Delicious Salted Caramel as part of their range so that’s one I definitely need to check out. Back to the task in hand – Whip ‘n’ Mix is a new take on the traditional slightly heavier texture of Greek-style yoghurt by turning into a light and fluffy mousse to be combined with one of three flavours: strawberry, blueberry or cherry. 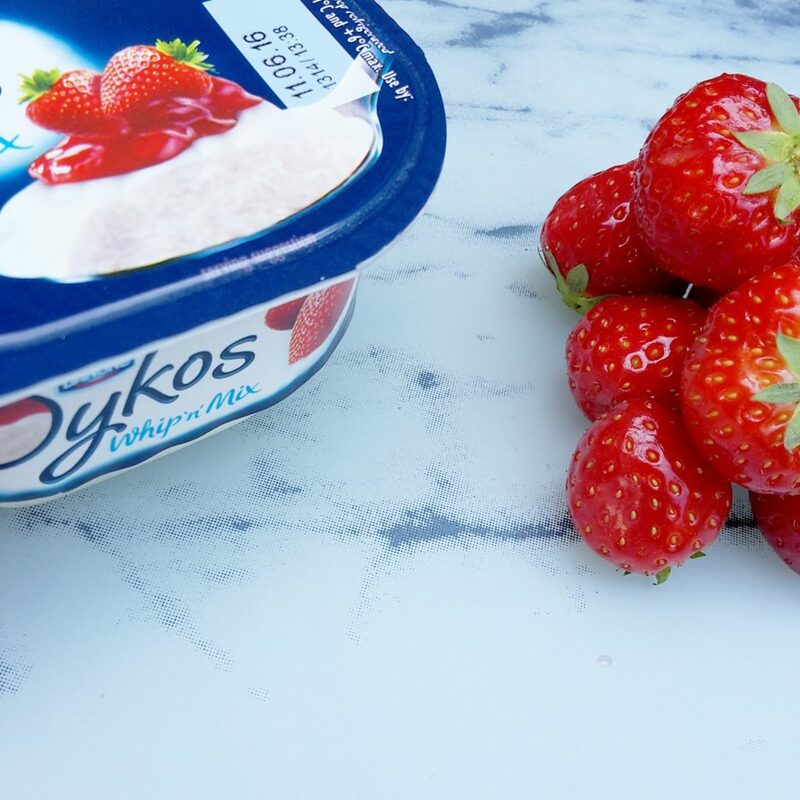 Sold in packs of 4, I was sent the strawberry flavour and it really is heavenly – sometimes I find that whipped or mousse yoghurts don’t have much substance to them but the Greek version works perfectly. In fact, it’s just the perfect treat to be enjoyed during a bit of pampering I think. Feet up, slippers on, face mask at the ready. Thank you so much to Oykos who sent me the lovely gift basket in return for a review. 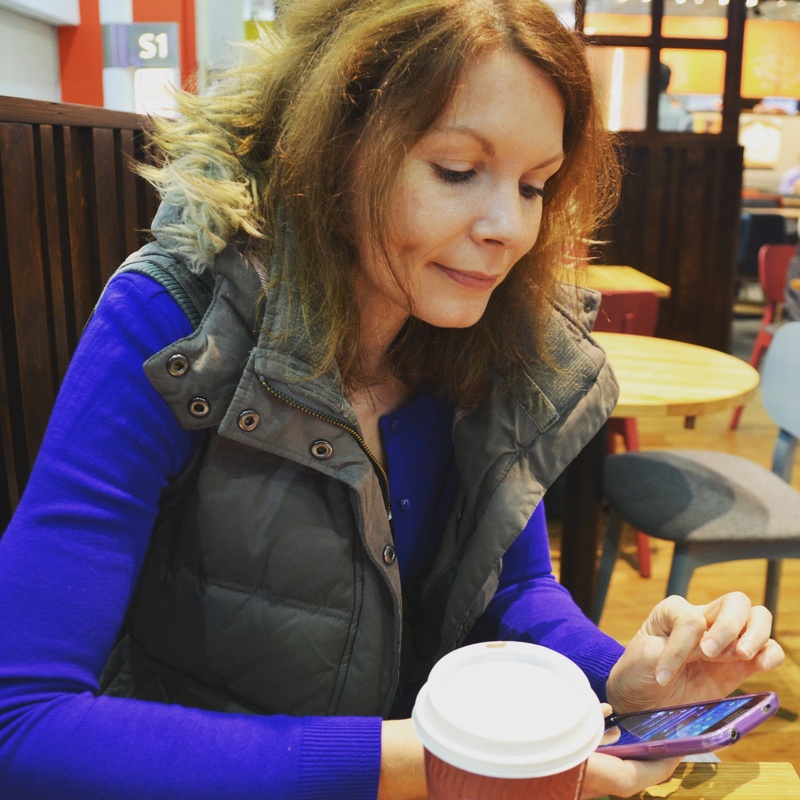 All words, opinions and images are my own unless otherwise stated. The Whip ‘n’ Mix range is available in retailers in packs of 4 at a cost of £2.49 per pack.